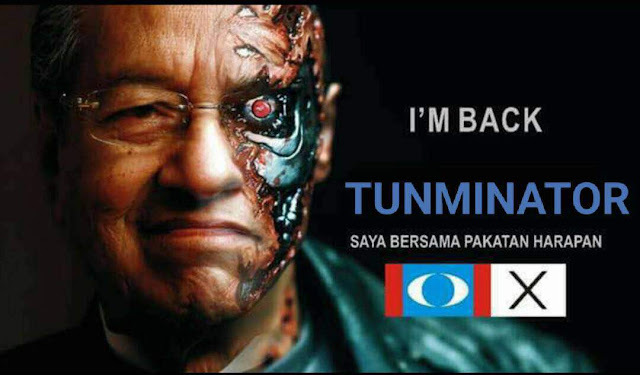 Najib Razak getting a taste of his own treatment of Tun Dr.Mahathir when he was the PM! Former PM Najib Razak saluting his former government provided bodyguards and service aides goodbye. We were all quite angry and sad when Najib Razak at the height of his notoriety instructed that Tun Dr. Mahathir Mohamad's bodyguards and police escorts who were accorded to his position as our former 4th PM back then to be removed from protecting Tun. The 14th GE came and we saw the end of BN and Najib Razak's tyranny. Not only was he defeated soundly losing as the ruling BN Federal Government Chairman, he is now being investigated for serious Criminal Breach of Trust by saddling the new Pakatan Harapan Federal Government with 1MDB's debts totalling more than RM 1,000,000,000,000.00! So, for me to come across the latest news about Najib Razak losing all his government provided bodyguards and police outriders and other service personnel comes as no surprise. 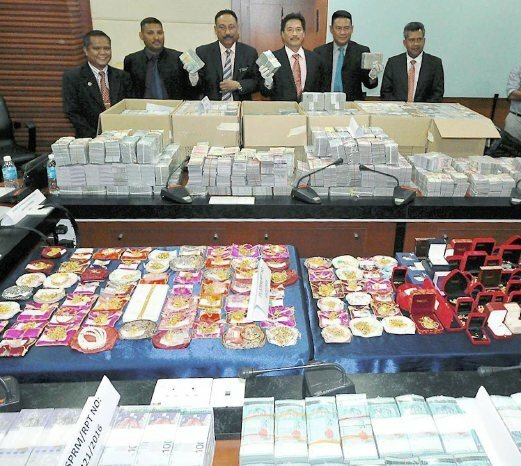 In fact, I was wondering how come the crook who stole hundreds of billions from Malaysian Government funds still had police outriders guarding him and that Hermes and Birkin handbag freak as they travelled here and there despite the Royal Malaysian Police Commercial Crime Investigation Department having confiscated hundreds of millions of Malaysian Ringgits in cash plus so many other foreign currencies, hundreds of luxury branded handbags worth hundreds of million ringgits as well and other luxury items loaded into 5 police lorries out of Najib Razak's luxury condominium units at the Pavilion Residences at Bukit Bintang? 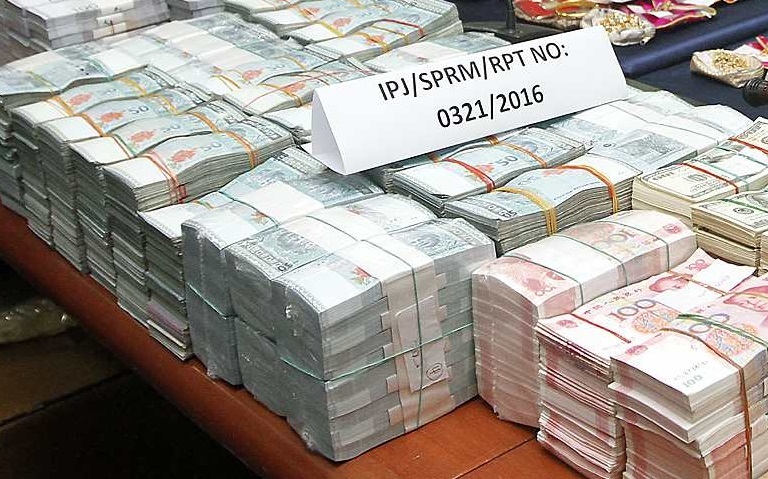 The CCID Director after spending a few days of his and Bank Negara officers counting all the cash found stashed in several suitcases which were amongst the items seized during the police raid announced the discovery of more than RM114 million in those bags. Excluding the value and amount of 26 other foreign currencies. Here's a video showing similar suitcases which were taken into the government's private jet by Rosmah Mansor's aides during one of Najib's travel abroad. Only Allah knows how much was spirited away by them. It's not hearsay or made up stories. We can see the same watches being worn by her and the value of the watches as shown in the video by the side. Tch..tch..tch.. If Najib Razak was a corrupt official in China, he would long have ceased to exist for the Chinese Communists are very firm in dealing with crooked government officials caught stealing so much from the government's coffers. He would have been shot to death by firing squad. He's lucky to be a Malaysian. Our courts are known to be not so efficient and cases as humongous such as this 1MDB Scandal might take years and years to be finalized. Hell, he might even die of boredom waiting for the verdict. I don't have to remind you of how many cases that involved VVIP crooks simply fizzled out or got stamped with NFA! I don't know how this largest case of kleptocracy in the history of the world is going to end? Only thing for sure is that the chap is now getting a taste of what he meted out to Tun Dr. Mahathir Mohamad before the 9th of May, 2018! 'Cash is King' sudah berakhir! Dato' Dr. Danial Zainal Abidin berkhutbah tentang Kepimpinan Kerajaan Baru Malaysia. Dato' Dr. Danial Zainal Abidin berkhutbah secara bebas dari membaca teks tentang keadaan negara kita sesudah bertukar Kerajaan Persekutuan dari BN kepada Pakatan Harapan dan tentang perlunya umat Islam kembali menghayati ajaran Islam sebenarnya dan tidak cenderung kepada perbuatan buruk mengkafir dan mengkhinzirkan orang. Amat berkaitan dengan kehidupan semasa masyarakat kita di hari ini. 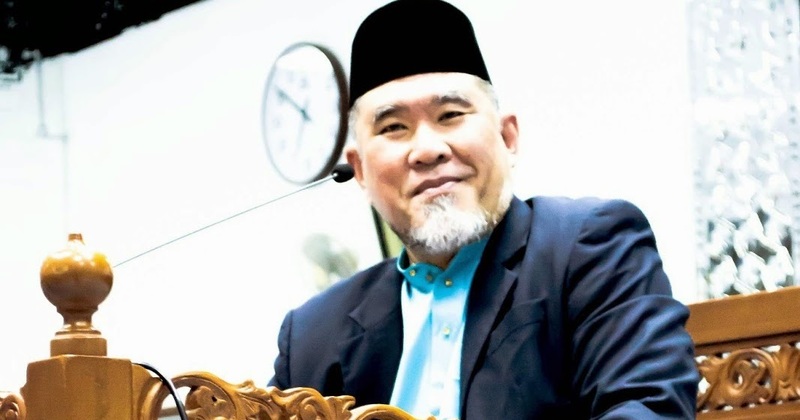 Saya syorkan kepada setiap pembaca artikel dan penonton video ini supaya membantu menyebarluaskan khutbah yang amat bagus Dato' Dr.Danial ini kepada semua kenalan anda. Insya Allah, akan ada kesedaran di kalangan ummah. Tun Dr.Mahathir dah lama beri amaran tentang Najib! 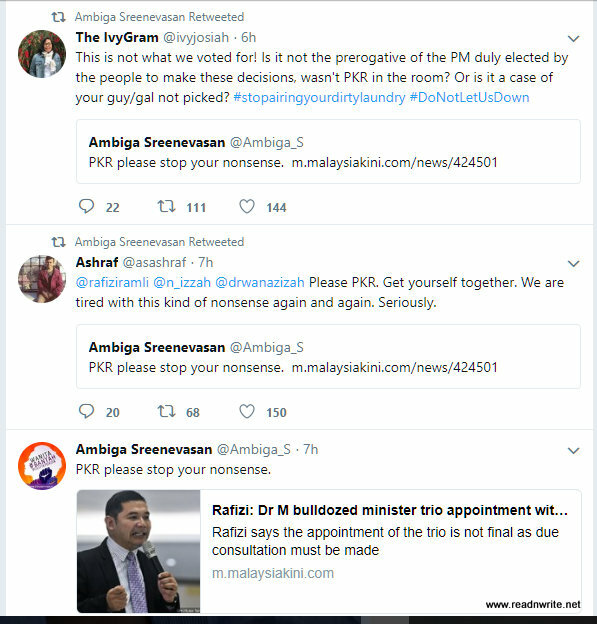 UMNO buat bodoh saja! Video di atas adalah rakaman ucapan YAB Tun Dr. Mahathir Mohamad tentang UMNO dan bahaya kehancuran parti tersebut serta kemusnahan Barisan Nasional angkara kerakusan dan keterlampauan politik wang yang menjadi amalan pucuk pimpinan UMNO sejak beberapa lama ini. Video di atas ni dari tahun 2015. Bukan rahsia tetapi adakah pimpinan tertinggi UMNO ambil peduli? Tak ada. Maka semakin lama semakin parah lah kedudukan UMNO dan BN di mata rakyat Malaysia yang semakin sempit kewangan masing masing. Sekarang apa yang Tun cakap tu dah menjadi hakikat, kan? UMNO sudah jadi kebencian majoriti rakyat dan para pengundi warganegara Malaysia. 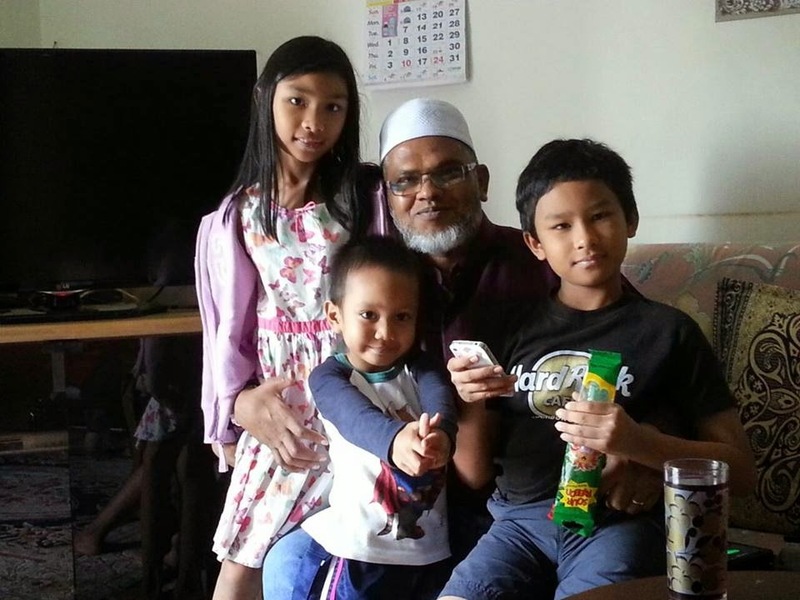 Apa tuan tuan dan puan puan fikir UMNO akan berupaya kembali memerintah kita selepas kekalahan sebesar ini di dalam PRU ke 14 pada 9hb. Mei lalu? Kan dah kena? Jangan pandang rendah terhadap kewibawaan Tun Dr. Mahathir Mohamad. PM ke 4 dan kini kembali sebagai PM ke 7 dan paling dihormati dan disegani seantero dunia. Jangan lupa bahawa sepandai pandai Najib dan Rosmah songlap segala kekayaan duit dari Perbendaharaan dan Khazanah Malaysia dengan pelbagai projek projek putar alam mereka seperti 1MDB dan yang sewaktu dengan nya, akhirnya kecundang jua! Hari ni dah terbukti bahawa segala apa yang Tun Dr. Mahathir kata adalah benar belaka. Belajar lah untuk sedar diri. Tunggu lah pelaksanaan proses perundangan negara kita di bawah pentadbiran Bapa Pembangunan Malaysia kita yang bukan sembarang pemimpin. Hari tu bukan main Najib menghina Tun Dr. Mahathir depan ribuan ahli ahli MCA. Dia kata 'KEPALA BAPAK ENGKAU!' kat Tun! Hari ini jutaan warganegara Malaysia begitu bersyukur kerana telah berjaya mengundi menjatuhkan rejim paling korup di dalam sejarah politik negara kita. Malaysians need to wise up! Give Tun Mahathir time to clean up Najib Razak's rotten BN Federal Government mess! Some Malaysians can be really stupid! I have read comments from the BN losers and certain idiots out there who post really nonsensical demands from Tun Dr. Mahathir and his yet to be appointed Pakatan Harapan [Alliance of Hope] Cabinet Ministers to start delivering their election promises right now! Damn fools! Tun Dr. Mahathir has only been sworn into office on the 10th of May,2018; a day after the GE14 and after almost six to 7 hours from the reported swearing in ceremony at the National Palace and already these impatient and irrational jackasses are out there baying for blood! What the hell do they think changing a rotten corrupt government system left by Najib Razak is? Something as simple like changing their used underwear? This is not a simple walk in the park kind of task! Corruption, abuse of power and position, generations of 'Tidak Apa' apathetic mentality and ingrained rotten values instilled through 6 decades of thinking that 'We are the Government and We Can Do Just Whatever the Hell We Please!' mindset isn't something that one can eradicate overnight! Those who are passing such comments are usually made up of people who are usually anonymous cowards who do not have it in them to disclose their true identities on their social media pages. So, they post idiotic comments questioning this or that, asking why this, why that and failing to have the common sense to consider that every change that needs to be done has to carried out properly and correctly according to the procedures and due process following the laws, rules and guidelines which have been gazetted in our country. In the meantime, it is really quite upsetting to learn of PKR's Rafizi Ramli coming out with damaging statements referring to our Most Honorable PM, Tun Dr. Mahathir Mohamad's recent public announcement of the appointment of Tuan Lim Guan Eng, DAP's Secretary-General as our new Finance Minister, PPBM's President Tan Sri Hj.Muhyiddin Yassin as our new Home Affairs Minister and Parti Amanah Negara President, Tuan Haji Mohammad Sabu as Malaysia's new Defence Minister as 'bulldozing' his choices without 'consulting the PKR'! Then what the hell does he think that PKR's President Datuk Seri Dr. Wan Azizah was doing when our 7th PM discussed the appointments of Guan Eng, Muhyiddin and Mat Sabu in the Pakatan Harapan President's Council meeting? Just waving her paper fan and dozing off in the meeting??? Rafizi has a tendency to speak or say something without realizing the consequences or implications of his 'diarrhea of his lips'. As the saying goes, some people just do not know how to appreciate the historic win over the notorious Najib Razak led BN regime! The Malay's have a saying for this 'Tak sedar diri di untung' @ 'Unappreciative of one's good fortune'. 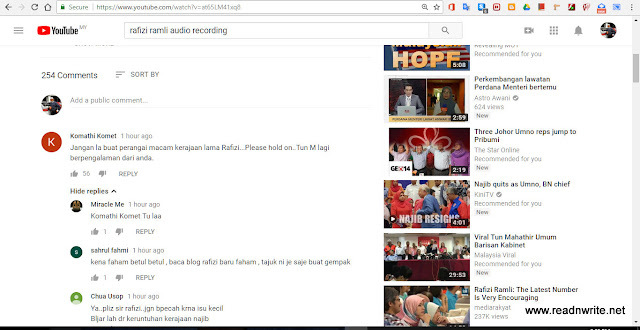 Rafizi Ramli, you screwed yourself sir! 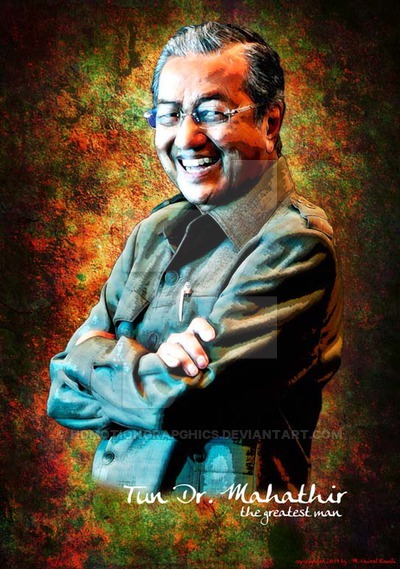 Mahaguru58 thanks all Malaysians who voted for the return of Tun Dr.Mahathir as our PM! 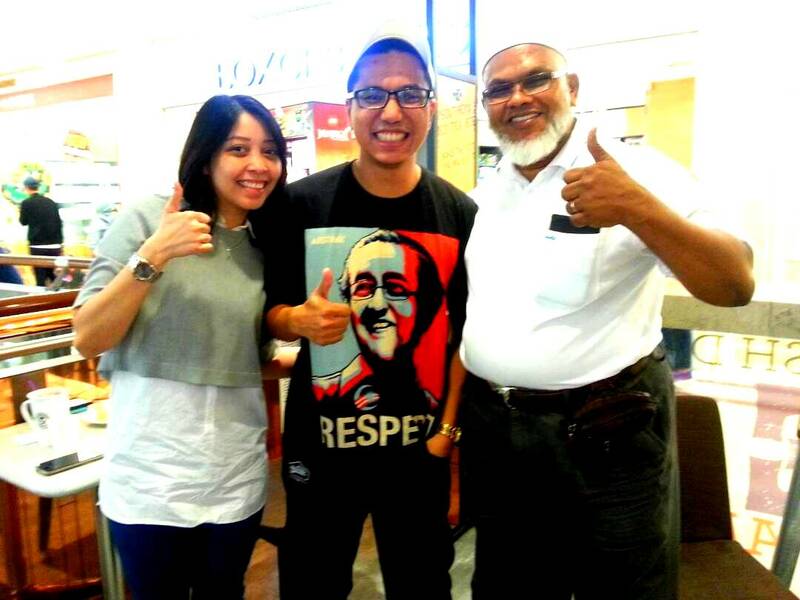 I went to KLCC to celebrate this historic day with my wife and met these young newlyweds who were also euphoric about our beloved Tun Dr.Mahathir Mohamad's getting re-elected as our country's new and most respected 7th Prime Minister! 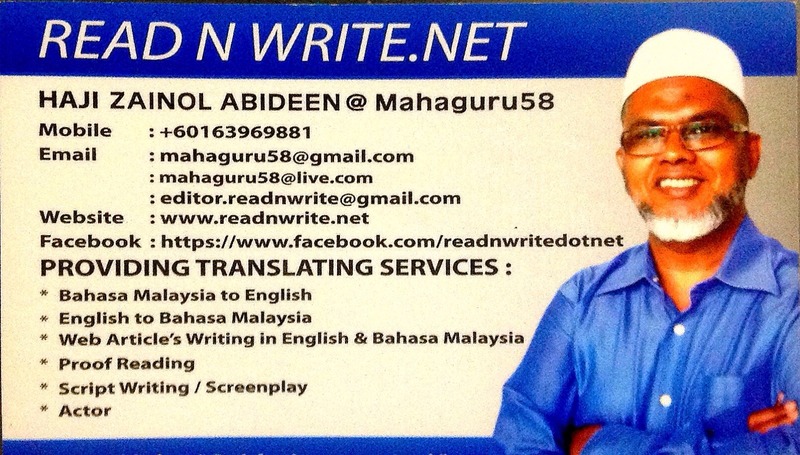 As Blogger Mahaguru58, I have been writing for the sake of sharing the Truth, Justice and Equality for all Malaysians. We were kept divided all these years by the endless fear mongering by those who were corrupt, crooks, treacherous, kleptocrat's, rude, arrogant and desecrators of the solemn oaths that they swore on the day of their appointments to their public offices. Our country's hard fought Independence from the British Colonial rule was destroyed by the former narcissistic traitor who sold our sovereignty to China and dismissed Tun Dr. Mahathir Mohamad's objections as the senile grouses of a 92+ old pensioner! The coward didn't have the gonads to face Tun Dr. Mahathir Mohamad as a gentleman in a public forum where we all knew that he doesn't possess the intellect or wisdom of our world renowned national statesman and true Father of Progress and Development of our beloved country from being an agriculture and natural resources based 3rd world economy to be a developing industrial nation that was respected by the whole world and labelled as one of the dynamic Asian Tigers! We all know how corrupt the local and federal government system under the Abdullah Badawi and Najib Razak regime became and the latter's 'Cash is King' policy turned most of this country's lower income earning populace into dependents of a few hundred or thousands of ringgits per year giveaways whilst those in power and position embezzled billions of ringgits from the government's coffers. 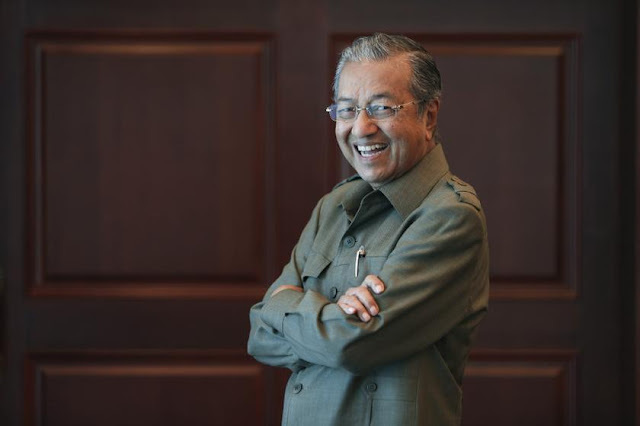 Tun Dr. Mahathir bin Mohamad preferred us Malaysians to earn our livelihood by honest enterprise and to be self-sufficient instead of scrounging for scraps thrown by these crooks who betrayed our nation's trust. 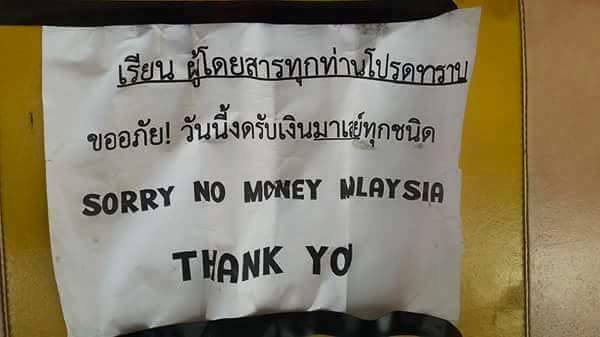 The various scandals and blatant thievery committed by the outgoing BN regime caused our Malaysian currency to drop in value so much that the Malaysian Ringgit was even refused by forex traders at our border with Thailand and even in neighboring Indonesia. I can keep on listing how we were all victimized by the crooks who were in power before this but will share more in my future sharing’s, Insya Allah. I thank each and every fellow Malaysian who made me a very grateful and happy man today from the bottom of my heart. You dear ladies and gentlemen are the reason why we have finally become free from the cancerous parasites who were robbing us blind. Please ensure that they will face the music for all their crimes and see to it that not one of these criminals escape retribution for what they did to our beloved Malaysia! To the voters in the next 15th GE, please do your part in preventing the return to power of any one of these crooks and their kind. We were lucky that the DAP Secretary-General and Penang Chief Minister YAB Tuan Lim Guan Eng joined forces with Tun Dr.Mahathir Mohamad, PKR President Datin Seri Dr.Wan Azizah, Amanah President Tuan Haji Mat Sabu and PPBM President Tan Sri Muhyiddin Yassin to bring down the kleptocrat BN leader Najib Razak! Malaysia does not need these parasites. We can do better. May our new government under Tun Dr.Mahathir Mohamad with a new efficient, strong and firm team of dedicated leaders who can and will hunt down the crooks who robbed Malaysia blind all these years! I wish to see them arrested, charged in court and when found guilty, be sentenced according to the law and be thrown into jail and have all their ill-gotten gains seized and returned to our country. 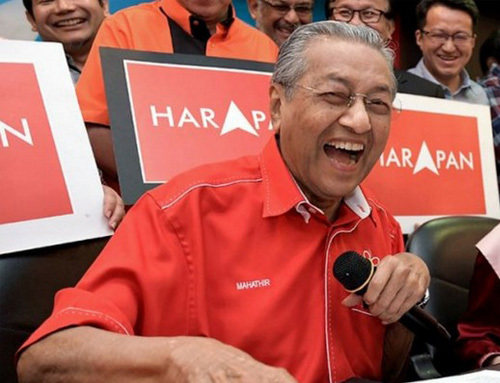 Tun Dr.Mahathir Mohamad wins GE14, back to lead Malaysia to glory! Alhamdulillah! Allahu Akbar! Allahu Akbar! Allahu Akbar! Syukur Alhamdulillah! 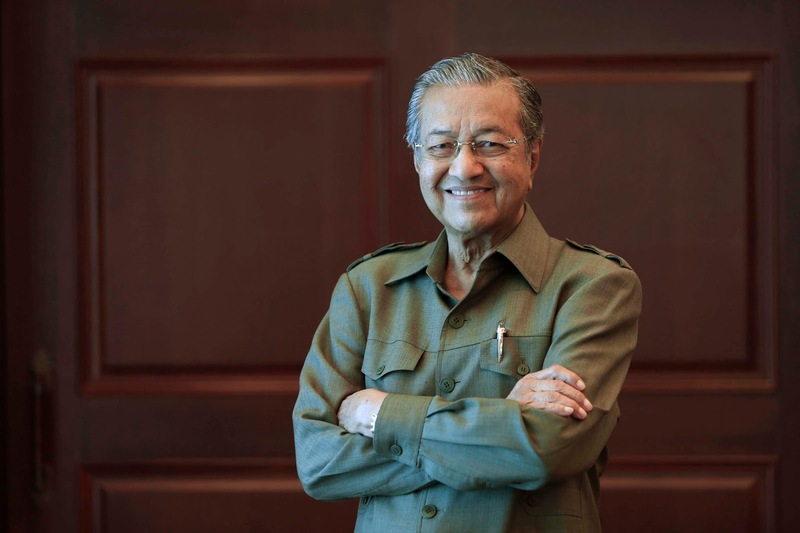 His Excellency, Tun Dr. Mahathir Mohamad, 93, who was Malaysia's longest serving 4th Prime Minister, Father of Progress and Development, has won the 14th General Elections held yesterday against all odds orchestrated against his Pakatan Harapan coalition by Barisan Nasional led by the kleptocrat infamous 6th Premier Najib Razak! Never in our nation's history has anyone else achieved what Tun Dr.Mahathir has accomplished by defeating the most oppressive regime under the 6th PM Najib Razak who used every rotten trick or measures to deny justice to the people using unjust laws and rules which were drawn up by his administration to shut up his critics and those who sought to fight for the truth! 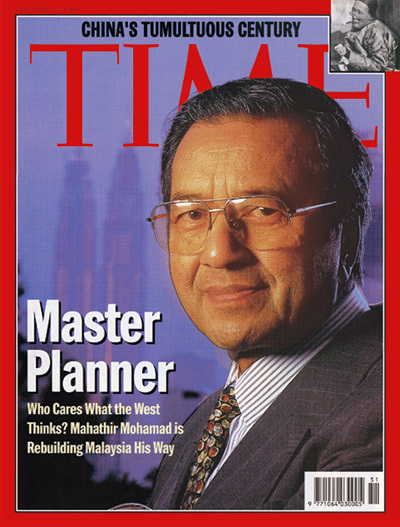 I am so glad to be alive today and witness this historic turning point in my country's future and get things back to what it was when Tun Dr. Mahathir Mohamad was Malaysia's best leader and who turned our once agriculture based 3rd world country into a developing industrial nation. I was sad when Tun chose to step down after 22 years as our PM but as a common citizen, I could do nothing except cast my vote when the next GE comes around. Tun was retired and I had to make do with whoever it was standing for election in my parliamentary constituency. The country was still divided along racial lines and BN kept us in fear of the DAP Chinese supremacists who would seize power and obliterate the position of the Malays and Islam here in Malaysia. So when Tun Dr. Mahathir decided that enough was enough and returned to contest in the 14th GE as the leader of Pakatan Harapan which is made up of the then Opposition parties which are the PKR, DAP, Amanah and Parti Pribumi Bumiputera Malaysia, I was elated and just waited for my time to vote. I got to do that and I voted for Dato Kamarudin Jaffar, the PKR Parliamentary candidate for P124, Bandar Tun Razak, 56000, Kuala Lumpur. I hope that he will really work towards improving the progress and development of Bandar Tun Razak, my home area here in KL unlike the former MP Tan Sri Khalid Ibrahim, his predecessor who did nothing for us and just disappeared. He said that if the government oppressed the people too much by coming up with new forms of taxes, the citizens would not vote again for the BN! It has been realized today! Never thought that I would live to see the day BN is no longer the Federal Government of Malaysia! Malaysia had been under BN's rule all these years and after Najib Razak (photo above) took over as the 6th PM, life gradually turned harder and harder for us. With the drop of our Malaysian Ringgit in value, we suffer in terms of the reduced buying power of our currency and we have to fork out more to buy whatever we need in our daily lives. Now, I really look forward to a better tomorrow for our nation with the return of my favorite PM, the celebrated architect of our beloved Malaysia to lead us out of the mess that the kleptocrat Najib Razak has left Malaysia in with the largest foreign debt in our country's history. May Allah grant Tun Dr. Mahathir good health and lengthen his life in order to be able to restore good government and a just nation here in Malaysia. PRU 14 ~ Liputan Mahaguru58 yang mengundi di P124- Bandar Tun Razak, Cheras, KL. Bergambar kenangan bersama anggota anggota Polis Di Raja Malaysia yang bertugas di Sekolah Kebangsaan Seri Tasik, Bandar Sri Permaisuri, 56000, KL selepas menunaikan tanggungjawab mengundi calon Ahli Parlimen P 124, Bandar Tun Razak di dalam PRU ke 14 pada pagi ini. Saya rasa PDRM sekarang ni cenderung mengambil anggota anggota polis wanita yang ada rupa dan jelita. 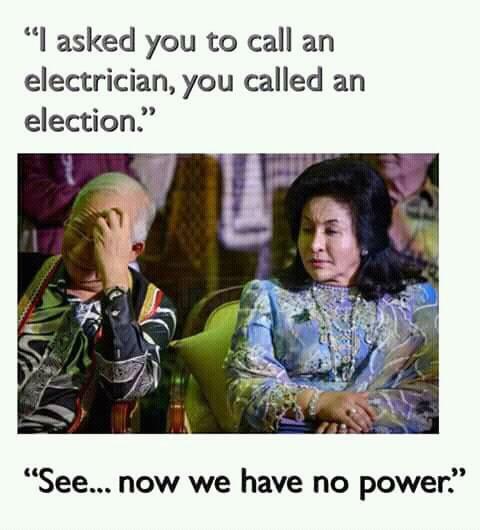 Yang lelaki pun tak kurang segak. Semoga sekelian mereka sentiasa selamat dan sihat sejahtera serta berjaya di dalam kerjaya masing masing. Amin Ya Allah. Saya beratur untuk membuang undi di Saluran 1 untuk warga warga emas dan boleh tahan juga masa yang di ambil dari mula beratur sehingga sampai giliran lebih kurang 2 jam lebih walaupun ada para pengundi yang menyuruh saya potong giliran memandangkan saya bertongkat. Saya menolak dan berkata bahawa saya masih boleh sama sama beratur bersama mereka. 5 tahun sekali, Insya Allah boleh gagahkan lagi. Berikut adalah di antara gambar gambar para pengundi lain termasuk jiran jiran saya yang sempat saya rakam. Jiran saya Encik Yaakob Yap ceria berjalan menuju ke arah isteri belia yang sedang tersenyum di dalam gambar di atas. Seorang lagi jiran saya Saudara Rashidi Ahmad kelihatan sibuk dengan telefon bimbit beliau. Wanita Cina yang perasan saya menghalakan lensa kamera saya ke arah nya memberikan senyuman manis meraikan rakaman gambar fotonya. Mural wajah mantan mantan Perdana Menteri kita seperti Almarhum YTM Tunku Abdul Rahman, Allahyarham Tun Abdul Razak, Allahyarham Tun Hussein Onn. 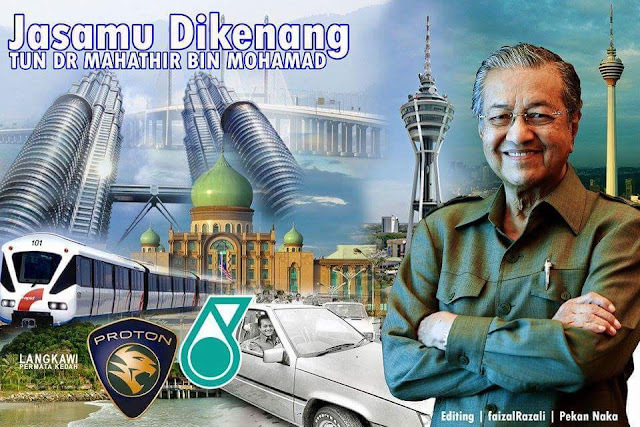 Mantan Perdana Menteri ke 4, Tun Dr. Mahathir Mohamad dengan lambang2 projek kejayaan beliau seperti KLCC, Putrajaya, Litar F1, Proton, Cyberjaya, Menara KL. Mantan Perdana Menteri ke 5, Tun Abdullah Badawi. Mantan Perdana Menteri ke 6, Dato Seri Mohd Najib Tun Razak. Ada gaya tersendiri Saudara Rashidi kawan saya ini. Macam peragawan. Hehehehehe. Rajin ikut ayahnya pergi mengundi. 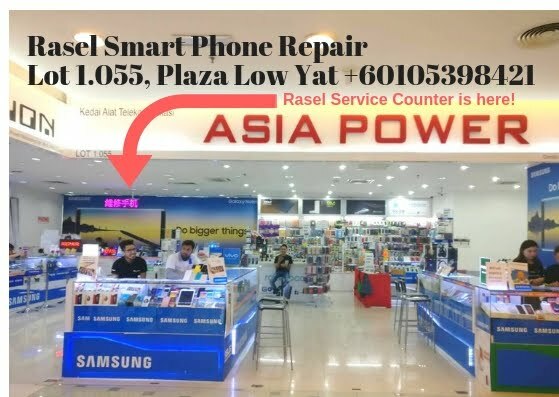 Seperti kelaziman zaman sekarang, janji ada gajet telefon pintar, tak meragam lah si kecil ini. Suasana di luar yang penuh dengan bendera parti BN memonopoli segenap pelusuk jalan raya di hadapan pusat mengundi. Semoga kita semua sabar menanti keputusan PRU ke 14 ini di mana saya mendapat khabar bahawa sedang berlaku Tsunami Politik yang tidak terjangka jangka. Presiden2 MCA dan MIC serta beberapa Timbalan Menteri BN kalah! Belum tahu lagi siapa yang bungkus dan tamat riwayat politik mereka. DAP itu Kafir Harbi atau Dhimmi? Dr.Danial Zainul Abidin menjelaskan! Sesungguhnya kita sebagai umat Islam dan warga Tanah Melayu ini harus mengambil kira akan cara kita menghadapi isu isu semasa di dalam kehidupan kita bersama masyarakat bukan Melayu dan bukan Islam di Malaysia ini. 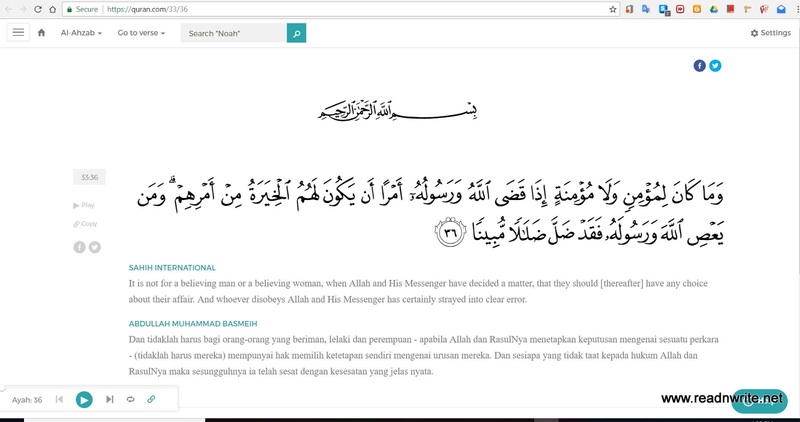 Kebanyakan dari kita ni berilmu pengetahuan dan celik hal ehwal duniawi serta bab agama. Selaku Muslim dan Mukmin, se eloknya kita berlaku adil dan rasional bila mempertimbangkan setiap sesuatu. Tak ada bezanya di antara MCA, GERAKAN dan DAP dari segi keturunan dan amalan sosio-budaya mereka. Bab persoalan RUU 355, mereka sama sahaja menentang usul menegakkan Syariah Islam dan Hukum Hudud. Namun kita juga harus sedar bahawa para pemimpin Melayu yang Muslim turut menentang RUU 355 tersebut. Apa bezanya pegangan Dato Seri Najib Razak dengan segala parti parti politik Cina dan yang bukan Islam di Malaysia ini? Sekian lama ini kita semua memusuhi DAP sebab kita tidak mahu Tanah Melayu ini di kuasai mereka yang begitu tegar menentang segala sesuatu yang berkaitan dengan Alif, Ba, Ta. Namun, pernah kah kita berusaha berdakwah kepada puak DAP ini? Dari pengalaman hidup kita, berapa kerat kah di antara kita pernah menyampaikan ilmu dan kebenaran tentang Islam kepada mana mana pemimpin DAP ini? Saya teringat kisah Sayyidina Umar al Khattab sebelum beliau memeluk Ad Deenul Islam. Sayyidina Umar menghunus pedang nya dan pergi mencari di mana Rasulullah Sallallahu Alaihi Wassallam berada untuk membunuh Baginda. Namun Takdir Allah jua yang menjadi kenyataan. Do'a Nabi Muhammad Allah kabulkan. Umar al Khattab yang di geruni penduduk Makkah menjadi salah seorang panglima Rasulullah Sallallahu Alaihi Wassallam di samping Sayyidina Hamzah paman Nabi. Berbalik kepada soal DAP. Kaffir Harbi atau Dhimmi? Tonton video berikut dan buat keputusan sendiri. 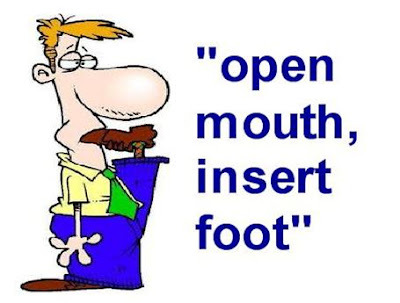 How to survive the SCAREMONGERING tactics for the next few days to the 14th Malaysian GE? 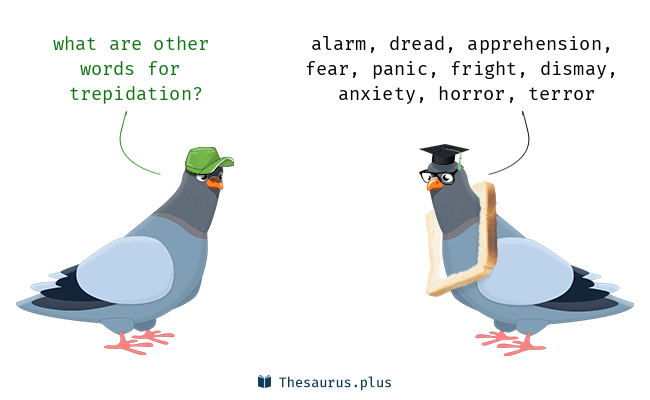 I am sure that most of you are feeling a bit stressed and trepidation right now. No worries. This is part and parcel of living in a state of 'Kiasuism' that has been brought about by more than 6 decades of indoctrination that both the politicians and the religious figures had been scaremongering us into submission all these years. Let's take a look at how our lives have been affected by the way things have changed over the years of being under the same ruling coalition who have kept us divided along ethnic based lines. We are more divided today than when our nation first gained Independence from the British Colonials who used the same divide and rule tactics over their various colonies since time immemorial. Personally, I have long come to realize that it doesn't really matter as to what race or ethnicity anyone is as long as the individual with whom we are dealing with is a righteous person whom we can trust or depend on? Even our own siblings or blood relatives can betray our trust or make life very hard and difficult for us when the particular individual puts his or her own self interests before our own well being. I am sure that each of us have our own stories or life experiences that might be similar or even worse. Those whom we might deem to be closest to us can turn out to be our own most vicious and brutal enemies. So, to me, it doesn't matter as to what ethnicity or nationality someone is as long as he or she does not endanger my life or my well being to such an extent that I have to run scared because of our apparent differences that I have to stick to my own group or community with which I align to with hope that they would come to my assistance when and if I need any such help? We can only depend on our own self and no amount of scaremongering tactics by any party or person is gonna change my mindset that if it is to be, it is really up to you and me to see a better future for our country than to buy in to all the rhetoric that is being bandied about or posted on banners all over our beloved Malaysia right now. All those money being wasted on political party flags and election campaign buntings could have been put to better use by helping those who are suffering, caught in abject poverty and lying sick on hospital beds worrying about how they are going to afford paying for their medical bills, etc.? 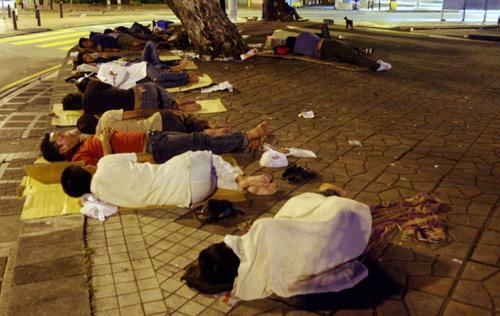 Believe it or not, even here in Kuala Lumpur, we still have homeless citizens who are sleeping on our city's sidewalks and 5 foot ways. These are Malaysians. Malays, Indians and Chinese as well as other ethnicities. Each have their own stories to tell. They are out of sight in the daytime but come midnight and the wee hours of the morning, they'd be laying out their cardboard's or newspaper sheets to sleep upon out there in the open whilst these couldn't care less rhetoric spewing politicians doze off on their luxurious beds in air conditioned comfort in their palaces oblivious to the suffering poor. May we get to elect a better, trustworthy, more reliable and efficient government that really practices what it preaches so we can all live in relative peace and harmony whilst progressing towards a successful Malaysia. Back to my topic in this article, the answer is to take all these into consideration and evaluate how the contesting parties and individuals have delivered or failed to live up to their oaths which they took when they were sworn in to their positions before this! Are they worthy of our vote? If yes, go ahead and cross your ballot for the candidate of your choice. If not, then by all means proceed to elect those who are really sincere in running for office and help bring about a better tomorrow for our nation. Happy Voting on the 9th of May, 2018. Don't forget your MyKad!